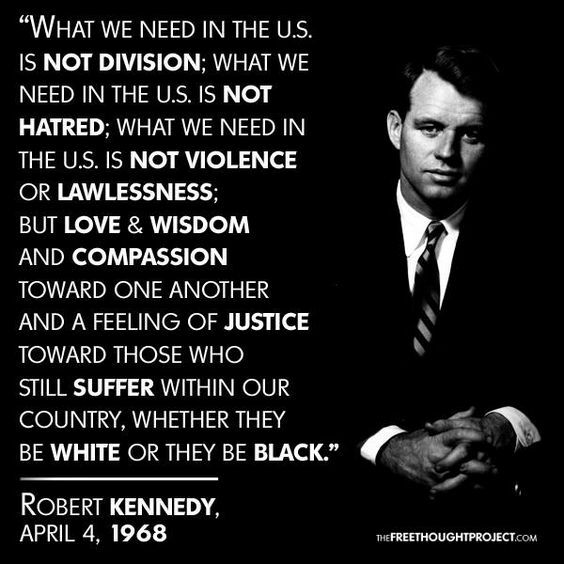 These words by Bobby Kennedy we true when he spoke them in 1968. Today, over 50 years later, they still resonate. Truth is a light that shines down through history undimmed by corrupt leaders espousing hatred and racism. What we really need in our country are true leaders willing to work for justice rather than enriching themselves and toeing the party line. This entry was posted in Hunger & Poverty, News & Views, Quotes and tagged anger, bigotry, caring, compassion., division, hatred, history, justice, lawlessness, love, need, quote, Robert F. Kennedy, society, suffering, trruth, violence, wisdom on June 10, 2018 by Ray Buchanan. As I focus more on the year ahead, my heart tells me that the struggle is going to be long and hard. That doesn’t bother me. What concerns me most is that we may be too divided to work together for what is best for all of us. 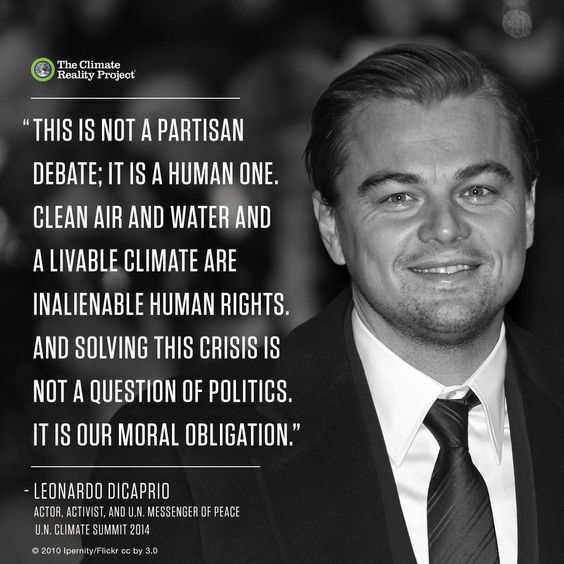 The real debate, as DiCaprio stated back in 2014, is not about partisan politics. The real focus has to be about coming together to address and confront those issues affecting all of our global family. This is a moral obligation that I am not sure we are capable of meeting. This entry was posted in Hunger & Poverty, News & Views, Quotes and tagged activist, actor, climate, crisis, debate, division, global family, heart, human rights, Leonard DiCaprio, partisan, peace, politics, struggle, the Climate Reality Project, working together on December 26, 2016 by Ray Buchanan.